Now in it's third magnificent year, the Green Mountain Opera Festival is just days away from it's June 1st curtain rising. And this year the festival features dozens of Vermont musicians, both in the orchestra and the chorus of this year's chosen complete production of La Traviata. If you have never experienced an opera, this is your chance! The lead roles are played by internationally renowned opera singers, the supporting roles by Emerging Artists in the festival's program funded by Sheila Johnson (founder of BET), and the chorus by Vermonters. And, the two productions of La Traviata are performed at the beautifully restored Barre Opera House to a full orchestra with dramatic staging and gorgeous costumes. Bah pain-in-the-bum if you say you don't like opera but have never seen one. Hearing a song sung in vibrato is NOT like seeing a live opera just like hearing a song on a studio album by Phish is NOT like having gone to a live show. Stars of the Green Mountain Opera Festival’s 2008 production of La Traviata perform opera classics and favorites. Singers from the 2008 Green Mountain Opera Festival will perform Broadway favorites at this casual festival favorite, open air event. Talented budding opera stars of tomorrow, chosen by audition to be included in the Green Mountain Opera Festival’s Emerging Artist Program perform their showcase concert. World renowned performers, emerging artists, and Vermont musicians come together for this fully staged and costumed production accompanied by the Green Mountain Opera Festival Orchestra. Every Memorial Day weekend Vermont holds one if its truly most ingenious events - Vermont Open Studio Weekend. This is a time to visit artisan studios, usually never open to the public and see artisans at work as well as buy directly from the source. Just as I encourage you all to support your local music scene, supporting your local artisan scene is just as important. It is also a great opportunity to visit some more offbeat places and listen to the music. Many studios will have musicians playing throughout the weekend. Don't just rush in and rush out - listen to the music! Stop for a minute and just enjoy instead of stress and squabble about prices. The music is free. And instead of racing back to the homestead, check out your surroundings and go see some live music while you are out experiencing Vermont finest! My top pics for Open House Weekend include a weekend full of fantastic local music at The Bees Knees in Morrisville, a variety at Langdon Street Cafe in Montpelier, three nights of The Benders at Middle Earth Music Hall in Bradford (with dinner! ), and a run of groovy shows at The Hub in Johnson. For a list of locations that have Open Studio Maps so you can plan your route, click here. Yay!! A new bluegrass event in Vermont! 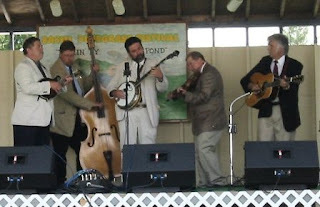 And one that is traditional bluegrass, not just a bunch of kids experimenting with bluegrass sounds. I am not saying I don't appreciate that as well, but there is something about watching more seasoned folks play from tradition in the back of a local farmer's barn that just twangs at your soul and makes you want to dance without your shoes and keep an eye out for moonshine. Promising "nine hours of quality music," Bridgewater Corner couple, Randy and Heather Kennedy, are holding the First Annual North Branch Bluegrass Festival on Bud Jenne's Fields in Bridgewater Corners. How can you not love how that sounds??? The festival is happening, rain or shine, on Saturday, June 21st. No camping this year, but maybe in years to come, no dogs either which is good because it can be a pain in the arse when everyone brings their dogs. The event is family friendly and workshops will be offered throughout the festival. People are encouraged to bring chairs. Four bands will be featured, New England Bluegrass and Crossing North are the out-of-staters and Vermont bands Big Spike and Gopher Broke. 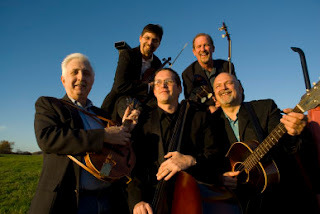 Big Spike is a five-piece band featuring the twin fiddle sound highlighted with a big double bass. 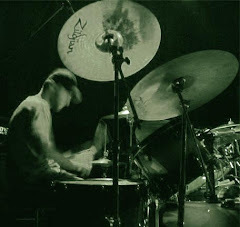 Gopher Broke is a Northeast Kingdom four-piece gem that promoters claim will make your kids want to sign up for music lessons (note: The Mitch is for hire for drum lessons). Admission is $10 for kids under 12, $18 for 65+, and $19 for the rest of us. More info is on the website at www.nbbluegrass.com and there's a ton of sponsors so make sure you support those who support local events!